TV watching is a big topic for parents these days. Post by Moments A Day. People responded with a range of opinions from “only on weekends” to an hour a day, or more, if the kids had all their homework done or the situation called for it. Our family has gone through stages as far as TV watching goes. We actually do not have a TV but stream shows on our computers and rent DVDs as well. The boys often watch a half hour show in the morning before school drop off on weekdays, simply because my husband does shift work and I am usually alone in the mornings. I have decided at this stage in life that having a show for the boys to watch while I take a shower and get ready in peace is a worthy exchange. Otherwise we try to stick to Thursday movie day, and occasionally for a special treat we have gone to see a movie on the weekend. Sometimes depending on the situation we will include another show here and there, like if someone is sick or when I am taking an important phone call or am preparing for guests. More important than how much the kids watch, however, is what they are watching. I think watching shows together, and learning something from them, is a worthy way to go about TV consumption. Does the show expose the kids to appropriate language? 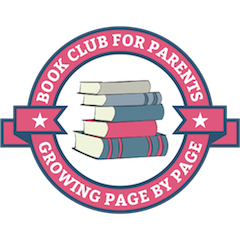 Does the show promote worthy or educational concepts – i.e. does it help teach music, counting, basic life skills, or other valuable lessons? Are the show’s characters worthy of imitation – or would I like my kids to copy what they do? Here in Australia, the channel I rely on is ABC 4 Kids. It plays a range of programs which are suitable for preschoolers including some of our favourites such as Octonauts, Peppa Pig, and Daniel Tiger’s Neighbourhood. 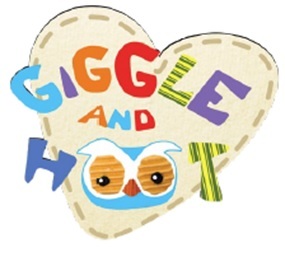 The interludes between ABC 4 Kids shows feature Giggle and Hoot, a cute pair of friends who share fun songs and games. This month our family was sent some Giggle and Hoot products to enjoy from ABC 4 Kids, pictured below. My three year old definitely favoured the Jimmy Giggle doll the most, and it has taken up residence on his bed alongside some other favourite friends. The Galaxy Backpack was cute and a good size for a young child’s daily things. The Gigglepaws and Pals DVD had some cute shows, and I like how they are split up so that you can turn the DVD on and off after each short block. The Giggle Galaxy Book was a sturdy board book with vibrant colours – we are enjoying the space themes right now. The Wooden Playset pieces are great for role play and pretend play. What is the TV policy in your home? 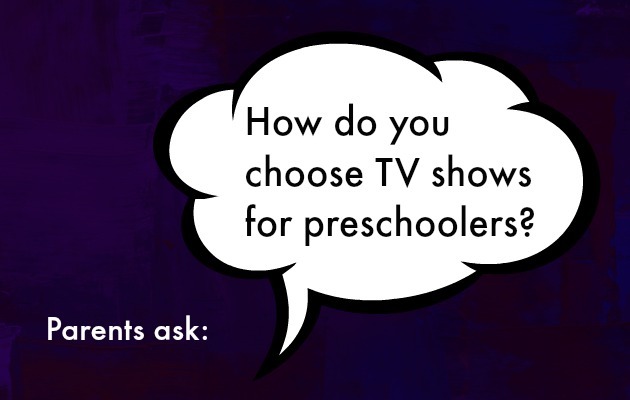 What shows does your family enjoy the most? This month, ABC Shops will stock an exclusive range of Giggle and Hoot products. The release of this great new range of specially designed toys, games, clothing, accessories and books will make every day hootastic! For more information visit the website. There’s also a chance to win a personalised Giggle and Hoot video message and more prizes. You can also enter #TheGiggleGalaxy Giggle and Hoot Instagram Competition. This is a sponsored post. All opinions are my own. To read more about advertising on my website, visit this page. I love abc4kids as well! It is getting challenging though now with a 7 and 8 year old that feel much too grown up for it now. They are starting to enjoy a little tv like mythbusters with Dad now which I’m ok with. I used to have certain rules for how much time, but I find it’s not really that they watch too much tv, it’s when tv is added to ipad, computer and the wii that it becomes too much. Instead of restricting it all too much, I just try an encourage them to do other things as well. It’s such a hard thing to balance!